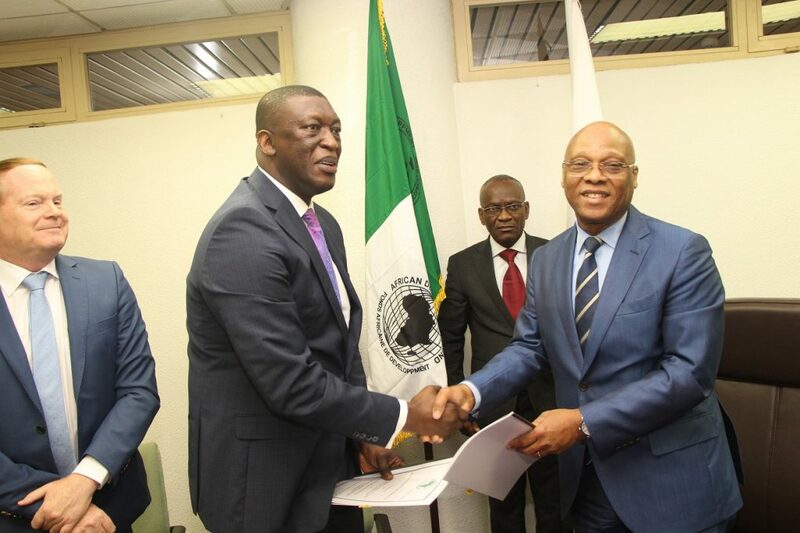 The Commission of the Economic Community of West African States (ECOWAS) and the African Development Bank (AfDB) have signed the $22.7 Million grant retrocession agreement for the 6-lane Abidjan-Lagos Corridor Development Project in Abuja, Nigeria on the 4th of February 2019. The agreement signing aligns with the requirement for the disbursement of grant funds from the European Union (EU) from its African Investment Facility (AfIF). In this regard, President Brou thanked the development partners and the project’s Ministerial Steering Committee for their unwavering support and backing of the collective effort of legal and technical officials from the EU, AfDB and the ECOWAS Commission. He also congratulated the selected consultants noting that ECOWAS citizens expect them to exhibiting the highest standards of professionalism in delivering timely projects in accordance with their Contracts. Earlier, the ECOWAS Commission’s Commissioner for Infrastructure Path Gueye provided an overview of the project as well as its high benefits for the region. The ceremony was witnessed by Vice President Madam Finda Koroma, the Commissioners for Social Affairs and Gender Dr. Siga Jagne, her counterpart in charge of General Administration and Conference Mr. Vafolay Tulay, that of Agriculture, Environment and Water Resources Mr. Sékou Sangaré and Directors of Cabinet Mr. Kalilou Traoré and Legal Affairs Mr. Daniel Lago. Nearly 40 million people are estimated to be living along the Abidja-Lagos corridor while 47 million people travel along the axis every year. These are expected to be direct beneficiaries of the development of the project touted to be a real backbone of trade in the region.